This is no longer the suit I set out in. It is losing its creases. The wrinkles have set in behind the knees. 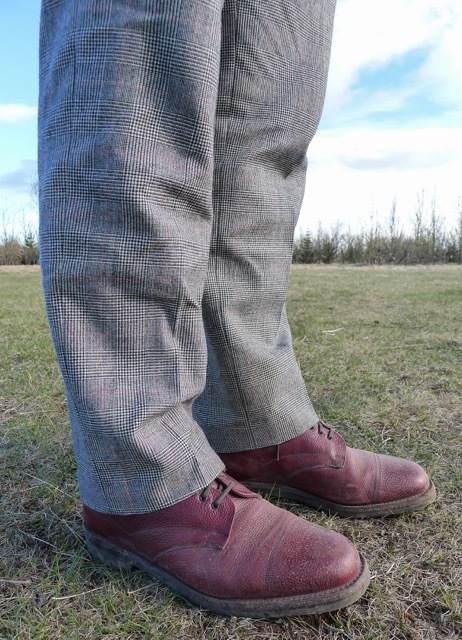 The trouser cuffs are discoloured by repeated long hikes and the trauma of a horse-ride. After soakings from rain and waterfall, the waistcoat has developed warps and buckling. I have re-sewn a loose button on my right cuff. Tonight, a shoe cleaning is in order to remove the dirt and the gravel that has embedded itself into the commando sole. I will brush the mud from the the trousers and place them on the hanger for the night. 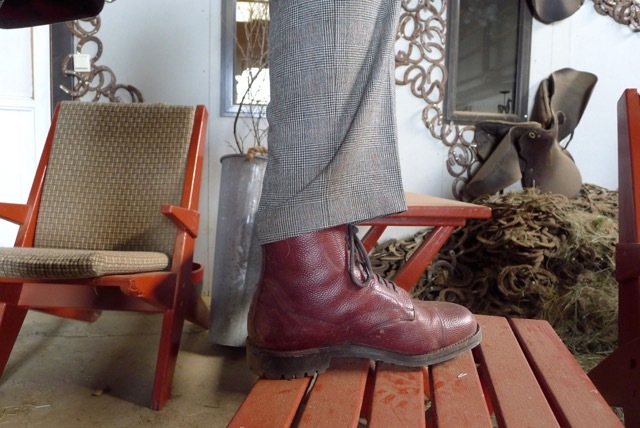 From a distance, at the right angles, the outfit still holds its own. However no amount of mending will return things to new. The rituals of care we employ here - sewing, polishing, brushing - are soft protests against impermanence. The act of wearing something is the act of wearing it out. We employ any number of stratagems to slow that process down. But these are delaying tactics. Like all things facing the solvent of time, we are headed towards dissolution. There is a poignancy in the act of caring for things; standing in the moment against that mountain of time bearing down on us and carrying on. It is enough, if only for a while, we stave off wear. We care for the things we love and we try to preserve them in the time we have.